CEFC China Energy Co. Ltd. (中国华信能源有限公司) is a Shanghai-based oil conglomerate founded by Chairman Ye Jianming (叶简明), a 40-year-old Fujianese mainlander, in 2002. CEFC has expanded from a small fuel oil trading operation into a large conglomerate company, owning oil and gas production assets, as well as terminals and storage in Central Asia, the Middle East, Europe and Africa. Today the firm is on Forbes Global 500 List of top corporations. A regulatory approval document (depicted below) by Czech Republic’s anti-monopoly authority, the UOHS, reveals more of CEFC’s Czech assets: hotel companies Le Palais–Praha s.r.o. and Karmelitská Hotel s.r.o. ; soccer team Slavia Prague; real estate companies Příkopy Property Development a.s. and Development Florentinum s.r.o. ; metallurgy company ŽĎAS a.s. and its subsidiaries; and the Lobkowicz Group brewery along with subsidiaries. Links to the People’s Liberation Army? He calls himself Ye Jianming (葉簡明). Mainland media found a different name. He said he started as a forest police officer in a tiny town in Fujian. Local journalists said he was a carpenter. Fortune also reported that CEFC runs a think tank called China Energy Fund Committee. One of its analysts was Dai Xu, a former senior air force colonel. Writing under the pen name Long Tao in 2011, Dai advocated using force in the South China Sea, a hot-button issue in those contested international waters, where half a dozen countries claim territorial rights. But it is Ye’s own potential military ties that are more intriguing. 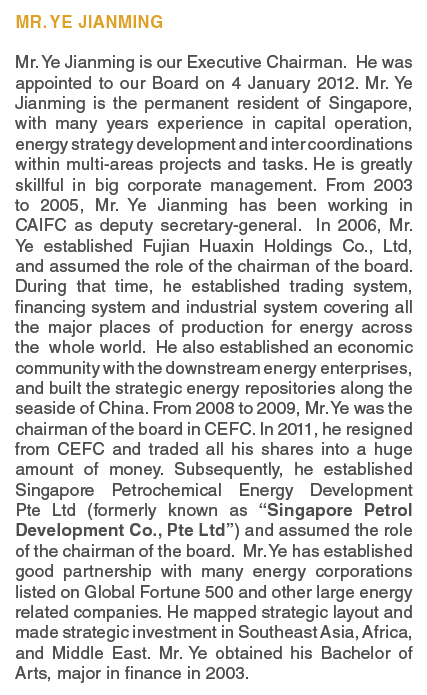 A 2012 corporate biography featured in a CEFC annual report listed Ye as deputy secretary general of an association close to the People’s Liberation Army. That group, the China Association for International Friendly Contact (CAIFC), bills itself as a forum to connect high-level military and political figures in China with those abroad. But it is essentially an influence and propaganda platform (SOURCE and SOURCE and SOURCE). Washington, D.C.-based researcher Mark Stokes of the Project 2049 Institute tells Fortune that related departments engage in “political warfare”, including spreading propaganda and recruiting potential intelligence sources, to serve goals including China’s ultimate aim of reunifying China and Taiwan. Note: Per the bio below, Ye retired as chairman of CEFC International Limited, based in Singapore. 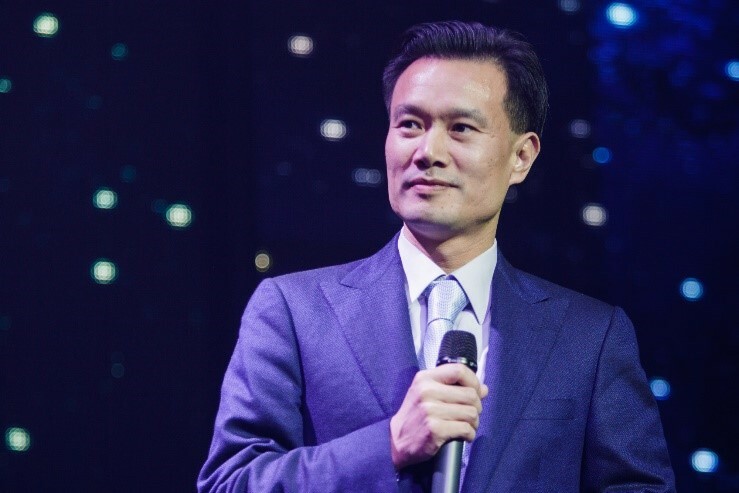 However, Ye remains the Chairman of the primary CEFC entity based in Shanghai—called CEFC China Energy Co. Ltd. (中国华信能源有限公司). Lastly, Ye is a "special consultant" for Hong Kong’s New People’s Party, a pro-Beijing conservative political party in Hong Kong. Look for more information on the Rosneft ownership group in future posts. Page generated in 5.0655 seconds.